We have never been a huge fan of makeup products which illuminate around the eye. Used correctly in small amounts with precise product placements they can work. Who really has time to apply them in this cautious way though! Generally they are swiped all around the under eye causing the tell tale "Panda eye" in photographs. These products also are the main culprits for creasing and settling in the fine lines around the eye, drawing attention to skin texture around the eye. What we do like however are skin care products which you can apply as part of your regime or mix with your concealer to effectively do the same job. 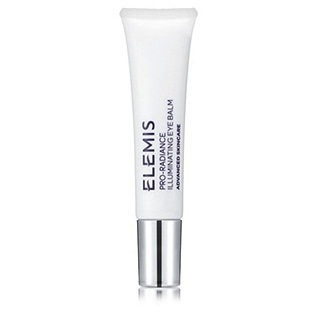 This August Elemis are launching their new illuminating eye balm. The balm comes in a squeezy 10ml tube and is applied through a zamac head (a metal from the zinc/aluminium family). This metal remains cold so as you squeeze the product out and massage over the eye area. It feels refreshing and cooling. 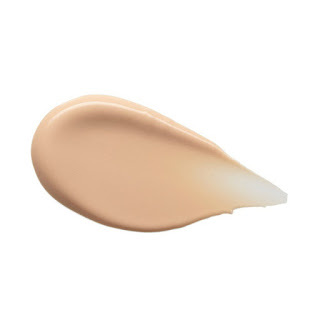 The balm itself is very subtly tinted in an apricot tone which helps to correct an ashy under eye tone. Contains Bird of Paradise flower to help reduce puffiness, optical blurring powders to give a soft focus to the skin, Apricot kernel and vitamins A and E to nourish and nurture. Extracts of Arnica and Chamomile are also added which are well known for their calming and healing properties. The finish on the skin is a very subtle healthy radiance. It really does give the skin a lift and a refreshing sheen without looking unnatural or overly reflective. You can apply it as part of your skin care routine but we like to mix a little with our concealer on the back of our hand and then massage over the under eye area. Saves time and also gives your under eye concealer a natural glow that won't reflect in photographs. A little goes a long way so you will get a good few months use from this. Not cheap at £34.00 but it does work really well. Great for those with dark circles who want the radiance without the obvious makeup in fine lines. I love this!! Thanks for the post!! !